Wholesale Trader of a wide range of products which include havells motor starter and l&t dol starter. 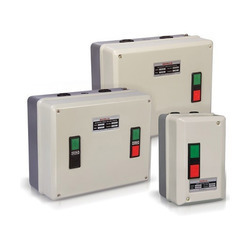 Within the short time period, we are engaged in presenting an excellent grade of Havells Motor Starter. 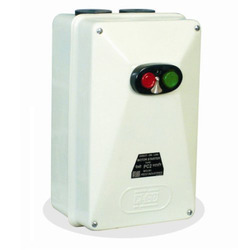 This motor starter is used in commercial, industrial and domestic sectors. The offered motor starter help in controlling the power supply within the electrical circuit. In order to develop a robust and highly durable motor starter, professionals at our vendor’s end manufacture the motor starter using quality and approved methods. In accordance to set industry norms, this motor starter is manufactured at the vendor’s unit. We are successfully ranked amongst the trustworthy entities offering a wide range of L&T DOL Starter. Starter is made available in various models with different sizes and shapes along with power input and output solution. The offered starter is used for power dissipation in the electronic appliances and circuit. In order to develop long lasting and flawless starter, professionals at our vendor’s end adhere to industry standards as well as apply modern sciences and technologies while fabricating the starter.